SHIPPING: Available World-Wide Shipping. (Free Shipping Anywhere In India). RETURN: 15 Days Easy Return. TIME TO DISPATCH: 4 TO 5 Days. 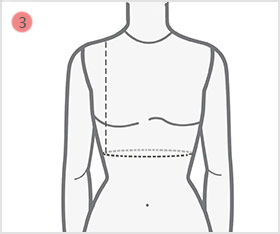 TAILORING: Select Semi-Stitched Or You Can Customize As Your Measurements. NOTE: Kindly Read Details About Semi-Stitched. Hi Customer,Our Virtual Tailor will guide you through taking your measurements, to get this piece tailored for a perfect fit. Decided on an exclusively customized saree blouse and still held tight how to measure your own body norms? 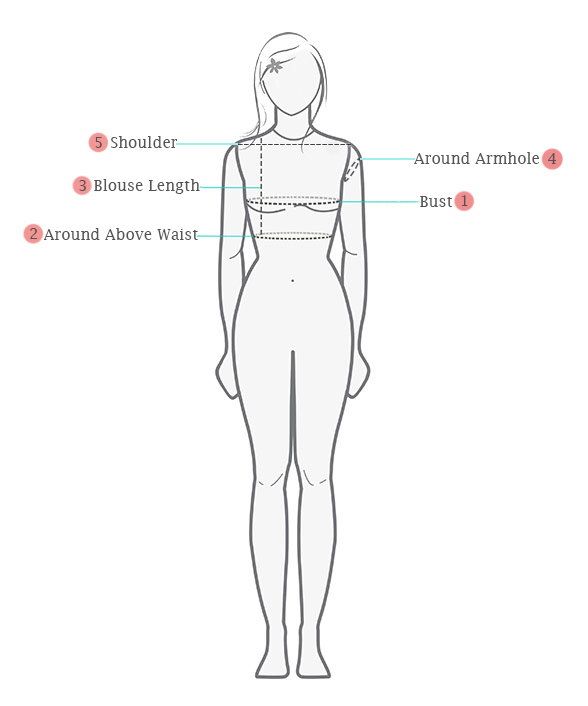 We've made it easy for you with vjvfashion's Saree Blouse Measurement Guide. Figure out how to measure saree blouse with these incite saree blouse measurement tips. 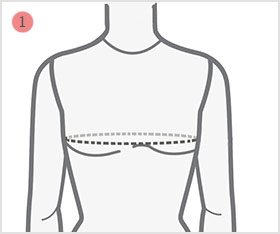 This will allow you to record the correct Indian saree blouse measurement and fittings, as you wish to customize. The fashions experts of vjvfashions will have them integrates into your saree blouse, for your desire fittings and style! 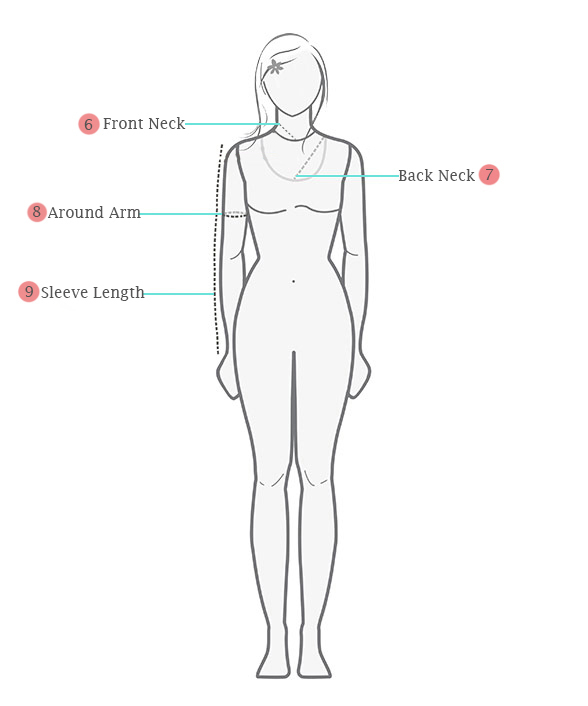 Here's a well-ordered guide to effortlessly measure yourself. All you require is to keep a measure tape comfortable and follow this guideline. Since the blouse length is above the waist, let the measuring tape en-circle the area above the waist. Take the measurement from one end to the other. 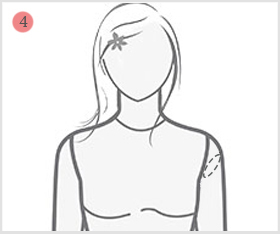 Start at the center of the shoulder and measure straight down to the point till where you want your Blouse. The tape should pass over the center of the bust. 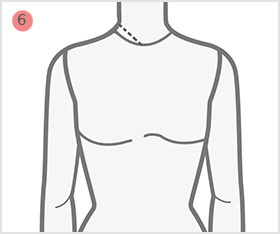 The best way to getting the perfect measurements of your armhole is measure around shoulder tip to the bottom of your armhole and go back to your shoulder tip. to get an exact measurement. Measure from shoulder tip to shoulder tip, straight across at the front. to the point where your blouse neck ends. 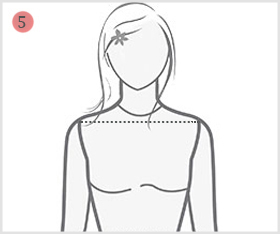 Measure from the neck joint to the center of your back and choose how deep you would like the back of the blouse to be. The best way to getting the perfect measurements of your arm is measure around the biggest part of your bicep. to get an exact measurement. 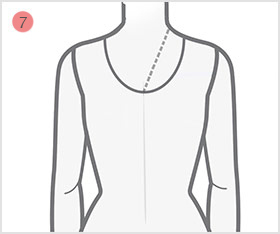 Start measuring from the edge of the shoulder and measure down the arm until you have the desired sleeve length. Tie a narrow string around the waist and let it settle into the natural waistline as you bend to the left and to the right. Take the measurement along the string line. Measure around the fullest part of your hips. 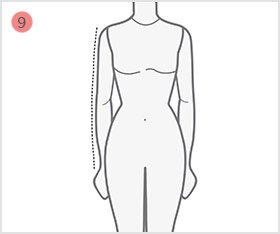 Take a full circle of your hips with the measuring tape. Allow an index finger to enter between the tape and your waist. 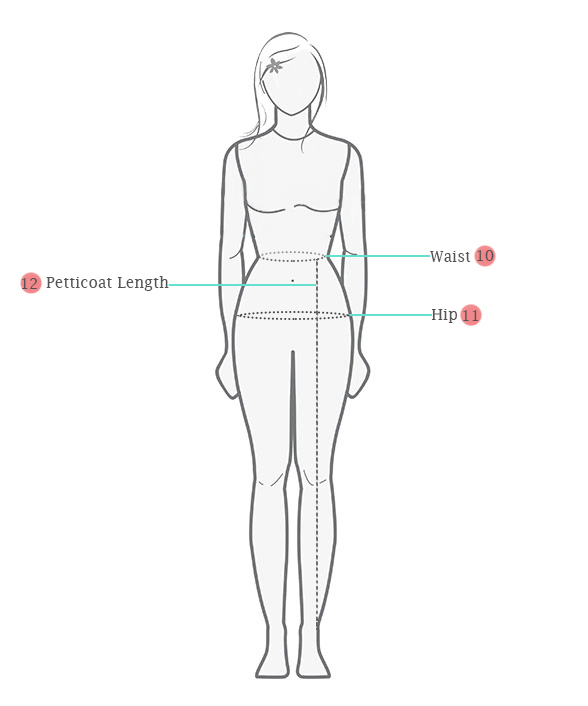 Measure from your waist to your desired length whether or not creases are needed. We are offering worldwide delivery of our products. Courier companies do not deliver to P.O. Box address, so we request you to provide full street address with pin code / zip code and telephone / mobile number. All orders are shipped with a UPS, FEDEX, DHL, BLUEDART, INDIAN POST, DTDT etc. *Returns would not be accepted for custom made / stitched clothing, including readymade stitched Sarees or Sarees stitched with custom blouse. However, we would accept returns if there is any faults from our end. *Customer need to first contact us through Contact Us page on web site before returning any product. If you will return the products before let us know the same, then we will not provide any refund. *At any point of time the refunds will not exceed the actual value of the goods. *We will not refund the custom duties, taxes, if applicable, or paid by you at time of receiving the goods. *In case of orders with free shipping, shipping cost would be deducted from the refund. *Vjv fashions will not be responsible for return the money which you have paid for shipping to send the parcel back. Customer need to bare the shipping cost while returning the products. Minimum Cart Value Rs.2999, COD will not be available on applying this promo code. Designs, colors and patterns on the actual product may slightly vary from designs shown in the image. Images are only representative. © 2018 VJV FASHIONS All Rights Reserved. '+ ' '+s+'. '+ ' Any special request / message for the designer?